On February 26th, the nationally acclaimed Mountainside Treatment Center will be celebrating 18 years as one of the leading holistic drug and alcohol addiction recovery facilities in the nation. we feel like this is the beginning of a new era. 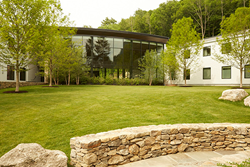 Founded in 1998 by a small group of friends who were interested in taking a different approach to addiction treatment – one that focused on an individual’s needs rather than a pre-determined treatment methodology - Mountainside has prospered from a single residential treatment program to a full-scale treatment center with a complete continuum of care and more than 180 employees. Mountainside, which couples evidence-based traditional therapies with alternative approaches to improve the efficacy of addiction treatment, has recently added Adolescent Services. Teens struggling with substance abuse attend weekly individual therapy sessions at Mountainside to cultivate positive decision-making techniques, set goals, and learn vital coping skills to manage environmental and emotional triggers for misuse at home or at school to maintain their sobriety. The company has also recently launched its Recovery Monitoring program, giving clients dedicated guidance and recovery management post-treatment for 12 months or longer. The program helps clients address any issues that may be obstacles to their sobriety in their first year of recovery – from emotional and behavioral issues to financial and employment concerns – under the supervision of a Wellness and Recovery Specialist. The growth of Mountainside continues as its first ever off-campus location opens in southwestern Connecticut. The new stand-alone Outpatient Services center will be located at 372 Danbury Road, Wilton, CT. The 5,000-square-foot center will feature three levels of outpatient treatment aimed at helping clients achieve total wellness.